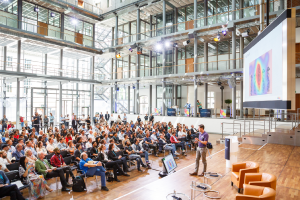 Launched by TOA in 2016, Open Circle is a bespoke event program designed for a select group of TOA speakers, investors, partners, innovators, tech luminaries, influential artists, scientists and media. Over four days between 2–5 July (concurrent to TOA19), top thought-leaders come together for a series of carefully curated events and one-of-a-kind experiences, in unique venues across Berlin. If you would like to attend Open Circle this summer, please submit your application and we will be in touch with more information. We have some exciting news for you: Mathias Döpfner, CEO of Europe's largest digital publisher Axel Springer, has become Chairman of Open Circle. 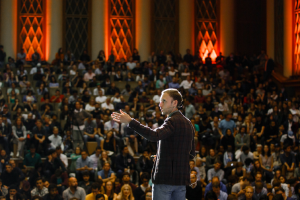 Together we seek to build an intimate community of global thought-leaders and continue to connect leading technology ecosystems with one another. We're very happy to welcome Mathias Döpfner on board for Open Circle 2018 and beyond! Some Open Circle events have limited capacity and require separate RSVPs on a first-come, first-serve basis. Members will receive an invitation to our Open Circle RSVP tool closer to the event to RSVP for individual events and to manage their personalised Open Circle schedule. Now in its fourth year, the Female Change-Makers Dinner brings together the start-up and creative world’s most influential and driven women for an intimate evening of culinary and artistic delights. Join your Open Circle friends for an exclusive Opening Party the evening before TOA Conference begins. Pick up your Open Circle welcome pack and accreditation, have a complimentary drink (or even a few), some gourmet re-imagined Berlin cuisine, and enjoy some live music and connect with fellow Open Circle guests. We look forward to meeting you! Start the day off right with some self-care at our morning Open Circle health and fitness sessions. In partnership with Axel Springer, this dinner will truly live up to its name as you’ll have an opportunity to see a very special Berlin Landmark venue and enjoy a fabulous gourmet meal from one of Berlin’s finest caterers. Entertainment, including live music and DJs, will also heighten the mood. A special event that is sure to go down in Open Circle history. Take in some culture and explore both the history of Berlin as well as some world-class art with private guided tours of famous collections. As an Open Circle member we have pre-booked limited spots to experience the most exclusives & renowned art experiences in Berlin. As an Open Circle member, you have full access to work at Ahoy! 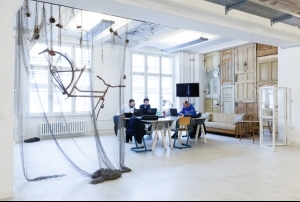 Berlin co-working and innovation space, with fast wifi, natural light, print services and an on-site café serving delicious food, snacks and coffee in a relaxed and cosy working environment. Open Circle 2019 members not only have full access to TOA19, but also the TOA19 Satellite Events program. You will be able to use your Open Circle member code to register online to the Satellite Events of your choice. Private transport will run throughout the conference between 2-5 July 2019, taking you to and from the Open Circle event venues, and the central TOA venue.